Since the "option /u question" thread was locked before I could reply, here's a new thread. ... remembers where it's installed when updating to new versions. It always has -- click on the combo box. This is an upgrade install to 14.0.27. I clicked the combo box and it only shows where it wants to install the software (C:\Program Files\JPSoft\TCMD14), not where the software was previously installed (C:\MyProgramFiles\JPSoft\TCMD14). 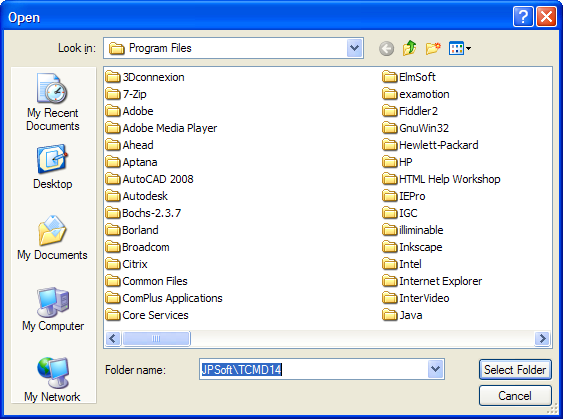 And if I click the browse button, it puts me into the "Program Files" folder, not the "MyProgramFiles" folder. Yeah, I noticed that too while messing with build 27. My previous install dir was not showing up in the drop-down box as it used to. Build 27, when I downloaded its installer and ran it, offered only the default location in the drop-down box. Previous builds offered the actual V14 installation directory. Nothing changed in the installer in build 27. WAD -- the installer does not (cannot) show installation locations for previous major versions.